Thanksgiving wasn’t even over yet last week when the stores started playing Christmas songs. This music was foreign to me until many years ago when my young daughter became a girl scout and we went caroling. 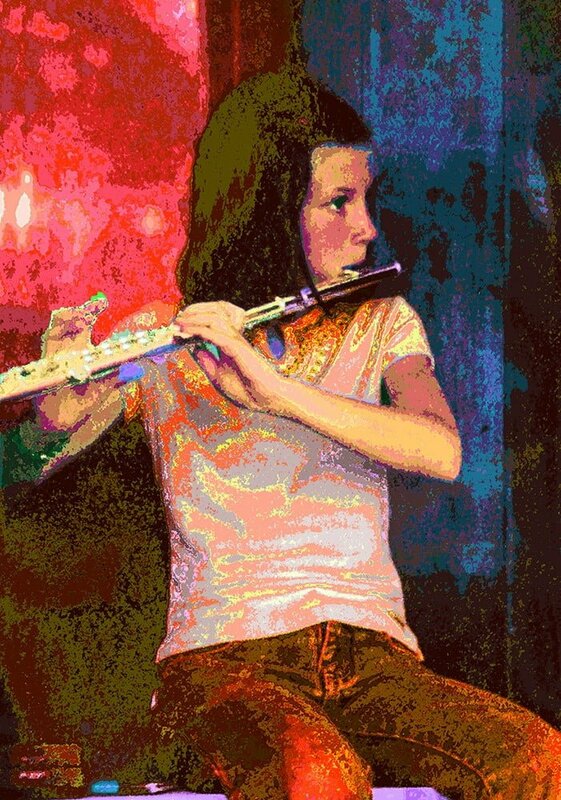 We’d go home and I’d marvel at how she reproduced the tunes on her flute or pennywhistle. Now, hearing Silent Night and other carols makes me cry uncontrollably. I remember the first time holiday music pummeled me. It was in early December, eight years ago, when I was stuck alone at the Ronald MacDonald House near the hospital where my daughter was waiting for a stem cell transplant. It was before everything went downhill for Marika, before I had any inkling it would be her last Christmas. There were only a couple of people staying at the RMD House that night, and the staff begged us to gather for the visiting musicians. Seated up close in a rocking chair, I listened, sniffling, confused about how the music was affecting me. By the time they began Silent Night, I was trembling and hugging myself, trying to hold in my howls. When I first tried to play Silent Night I sobbed between each note. Huffing and puffing my way up to the second-to-last line, “Sleep in heavenly pea-eeece,” I found the notes were suddenly too high for me to reach. I was fighting to conquer each measure—but then something changed. I started over, and played the piece—minus the five impossibly high notes—like it was one of those jaw-dropping awesomely beautiful tunes I’d been yearning to play. Only five high notes away from making beautiful music, I blew that horn like my song could reach to heaven and back. I don’t know yet if my practicing the heck out of Silent Night will help desensitize the powerful emotional trigger Christmas music has become. But I’m beginning to understand the healing power of music. And now, in playing my cornet, I’m feeling an even stronger connection than ever to my daughter. What are the songs that make you cry? What are the triggers you’re experiencing this holiday season? What connects you to your loved ones who died? Got any recommendations for other simple but powerful tunes I could learn? This entry was posted in 2018 and tagged christmas music makes me sad, continuing bonds, depressed during the holidays, desensitize yourself to triggers, emotional triggers, grief and holidays, healing power of music, Hearing Silent Night Makes Me Cry, holiday music triggers anxiety, silent night makes me cry on 2018/11/26 by Robin Botie.